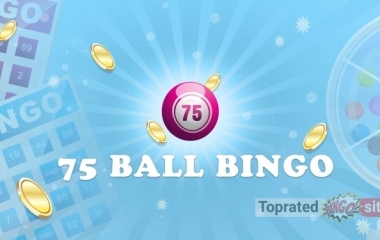 Although 75-ball Bingo is mostly played in North America and Canada, it is also popular in lots of other countries, and so it is regularly included in the selection on the online websites. This version follows the standard structure of the game, but the endless number of winning patterns that can be formed bring a new element to the proceedings. The sessions are generally played at a more relaxed pace, which is appealing to a lot of players. An additional enticement is that this variant is considered to be simpler than its 90-ball cousin. This is predominantly down to the design of the cards. The grid format – along with the fact that there are fewer numbers to follow – makes it easier to keep up during the rounds. Each ticket consists of a 5×5 chart, with the centre square left blank. This usually contains a star or another symbol, and on occasion, it is marked ‘FREE’. There are 25 numbers in total – 5 on each row, both horizontally and vertically. 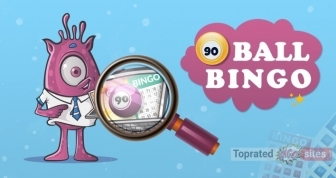 The word bingo is spelled out across the top or down the side of the card, and this is used to identify the rows. The ‘B’ column is for 1-15, the ‘I’ covers 16-30, the ‘N’ is for 31-45, the ‘G’ has 46-60, and the O is for 61-75. In the online version, the cards – or tickets as they’re sometimes referred to – are generated by a random number generator (an RNG), and these can usually be picked from the selection shown. Depending on the venue, these are either bought separately or as a strip. Every strip of 3 will contain all of the numbers from 1-75 once. 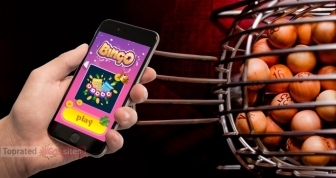 Most websites allow members to buy up to 96 tickets for one session, and as these are daubed automatically, it’s easy to play with multiple cards. It’s possible to mark them off manually, and some players feel this aspect adds to the overall experience. However, the computer will still daub them, so that nothing can ever be missed. There are countless winning possibilities with the 75-ball version, which is another reason for its appeal. In theory, there are more than 300 configurations that can be formed, although in reality, these won’t feature in every session. In the majority of the games, wins occur on 1-5 lines, and these can be horizontal, vertical, or diagonal. One of the most commonly found patterns is the ‘X’, which is two diagonal lines. Two others that are often featured are the Double Line, which is two completed lines, and the Blackout, in which all the spots are covered. In spite of the pattern variations, the majority of the payouts are spread across the lines, and the number of these that are paid out on varies between the games. Some sessions will award a prize for three lines, but others won’t. Naturally, the biggest sum goes to the winner of the full house. Some of the versions pay out if there is one or two numbers remaining on the card at the end of the round. If this is a feature, 1TG or 2TG will be shown next to the title. A few of the 75-ball games are based around popular British TV programmes and celebrities, and probably the most unique of these is ‘Deal or No Deal’. This version contains all the key features from the regular show, including Noel Edmonds and his famous telephone. 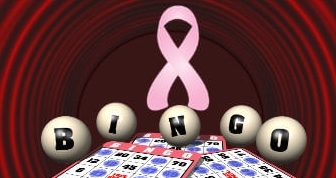 The bingo session proceeds as usual, but as soon as full house has been declared, the winner is given a choice. They can either accept the sum that’s concealed in the box, or they can take the offer from the banker. Play is paused while the other participants vote on the decision, and then the winning player has to give their answer. In the last stage, the box is opened, and the hidden amount is displayed. Once full house has been announced, the mystery box comes into play. The dealer makes his offer, and the other players vote on the decision. The winner has a set period of time in which to make their decision. The decision has been made, and the sum in the mystery box is revealed. The prize funds for the 75-ball version differ in size and in format. There are some games with fixed amounts for the winnings, and others with progressive jackpots, in which the sum is continually increasing. Lots of the sites have daily, weekly or monthly specials. This is a particular feature of many of the Dragonfish network sites, and these big money games often have sliding jackpots. In this situation, the amount awarded is dependent on the number of calls. For instance, in the Sunday Slider, a win in under 44 calls will net the lucky player £10,000. This sum decreases at various points, with the reward for 57 calls being £1,000. Generally, the calls used in this variant are the same, and so everything will feel very familiar in the rounds. On occasion, however, there are references to the fact that fewer balls are being used during play. For instance, 75 is sometimes referred to as ‘The Big Daddy’, which alludes to the fact that this is the highest number in this game. It is, perhaps, these little additional touches that serve as a reminder that this variation has garnered popularity in its own right.